Switzerland's Haris Seferovic scores his side's second goal during the group E World Cup soccer match between Switzerland and Ecuador at the Estadio Nacional in Brasilia, Brazil. 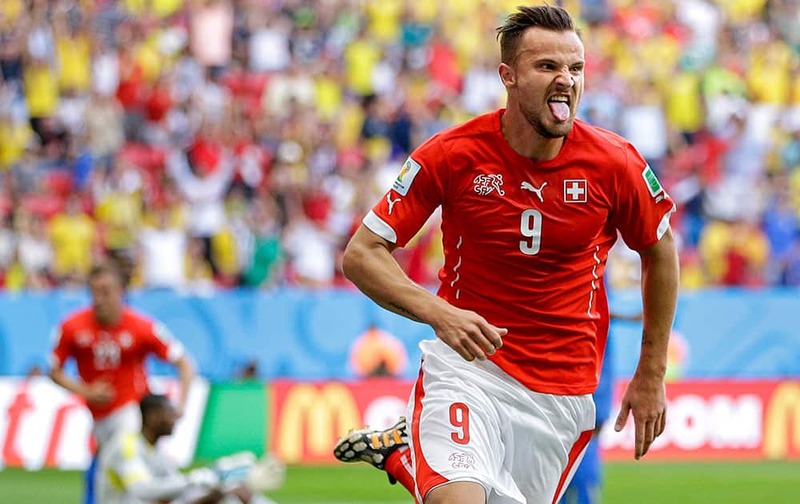 Switzerland's Haris Seferovic, right, celebrates after scoring his side's second goal during the group E World Cup soccer match between Switzerland and Ecuador at the Estadio Nacional in Brasilia, Brazil. Switzerland's Haris Seferovic, front, and goalkeeper Diego Benaglio celebrate after the group E World Cup soccer match between Switzerland and Ecuador at the Estadio Nacional in Brasilia, Brazil. 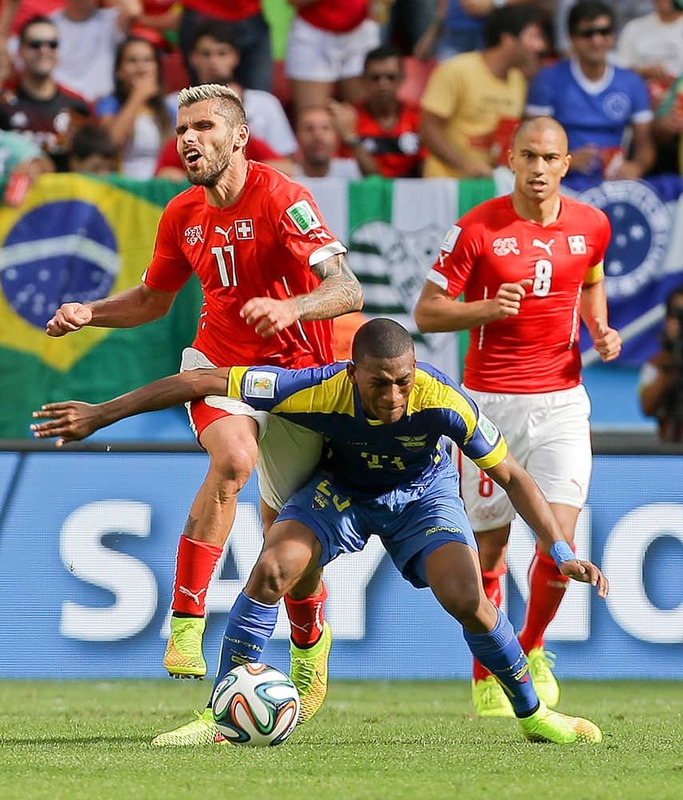 Switzerland's Valon Behrami, left, is fouled by Ecuador's Carlos Gruezo during the group E World Cup soccer match between Switzerland and Ecuador at the Estadio Nacional in Brasilia, Brazil. Switzerland's Haris Seferovic, second from right, celebrates scoring his side's second goal with teammates during the group E World Cup soccer match between Switzerland and Ecuador at the Estadio Nacional in Brasilia, Brazil. 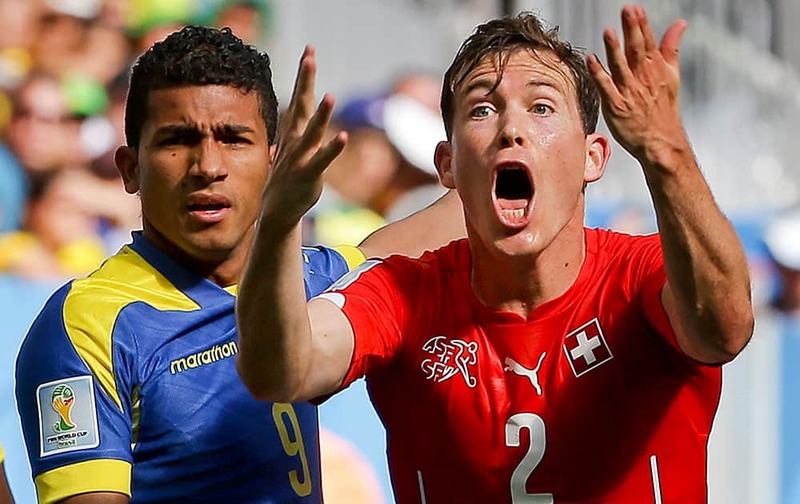 Switzerland's Stephan Lichtsteiner, right, reacts as he stands next to Ecuador's Joao Rojas during the group E World Cup soccer match between Switzerland and Ecuador at the Estadio Nacional in Brasilia, Brazil.